What comes to your mind when you think of British Airways? Is it the historic Concorde, First Class, and attentive service? All three of those would be correct, but what about trans-Atlantic service to cities in mid-America? That would be accurate as well. 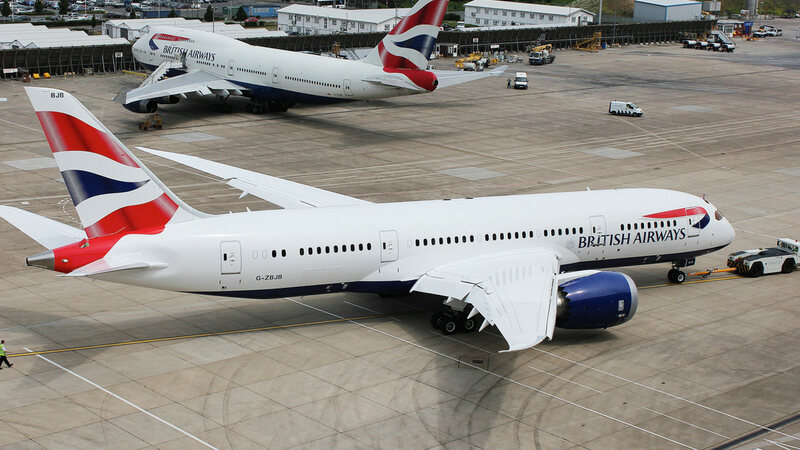 This week, British Airways announced they will begin nonstop service from London Heathrow (LHR) to Nashville, Tennessee (BNA) with their Boeing 787-8 Dreamliner, beginning next May, five days a week. Have you flown on a 787 Dreamliner? As a passenger, you’ll notice it has more humidity in the cabin, which makes your body feel like it’s at a lower altitude, thereby reducing the effects of jet lag. I’ve been on two 787 flights, and I can verify this is true. When you arrive at your destination, you’re not as dried-out and dead to the world as you would be after a typical trans-oceanic flight. The 787 also has very quiet engines in comparison to what you’re used to when flying overseas. The General Electric GEnx and Rolls-Royce Trent 1000 are the two engine options for airlines to power the 787, but you’ll notice little difference between the two as a passenger. British Airways chose the Rolls-Royce engine (obviously) because it’s a UK-based company. The engines on the 787 have serrated edges on the back end, which help reduce noise both inside and outside the cabin. The Dreamliner has allowed airlines to add so-called long and thin routes to their map, thanks to the distance it can serve with it’s fuel-efficient engines. The “thin” refers to the amount of demand for the route. In British Airways’ example, they can use their 214-seat 787-8 Dreamliner to fly to Nashville, instead of a much larger Boeing 777 that holds 283 passengers, because there probably aren’t 283 passengers to fill each flight. The 787-8 has a range of 9,440 miles. Onboard British Airways 787-8 Dreamliner, there are 35 Club World (Business Class) seats, 154 World Traveller (Economy) and 25 World Traveller Plus seats. Each seat has hundreds of available video and audio entertainment programs, as well as power outlets if you choose to work during your flight. Passengers also love the windows on the 787, which are 30 percent larger than the average airplane window, and the difference is noticeable. Also the windows do not have the traditional pull-down shades, but instead, they have a button that allows you to brighten and dim each window — allowing you to still see outside but without too much brightness. Or you could also dim out almost all of the light if you want to sleep during a daytime flight. The only downside of the 787 is that several airlines have opted to put a 9th seat in each row of economy class, when Boeing only intended 8 per row. This has resulted in seats that are a bit more narrow than average, which could be uncomfortable on a really long flight. The British Airways 787s are configured this way, unfortunately.